• MODBUS TCP to MODBUS RTU translation. • Supports Master device on either TCP or serial ports. • DHCP & NetBIOS Device name resolution. • Embedded Web page configuration with upgradable firmware. 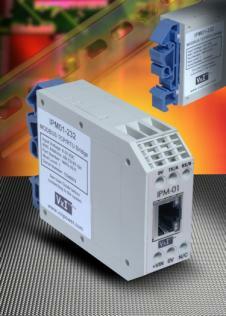 • RS232 or RS485 versions available. • Supports multiple RTU clients on RS485.